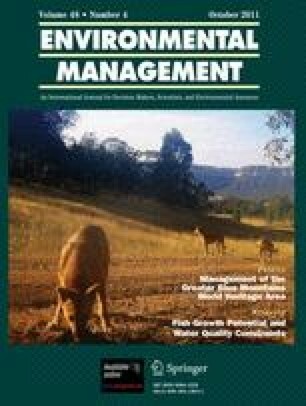 Increasingly government agencies are seeking to quantify the outcomes of proposed policy options in terms of ecosystem service benefits, yet conflicting definitions and ad hoc approaches to measuring ecosystem services have created confusion regarding how to rigorously link ecological change to changes in human well-being. Here, we describe a step-by-step framework for producing ecological models and metrics that can effectively serve an economic-benefits assessment of a proposed change in policy or management. A focus of the framework is developing comparable units of ecosystem goods and services to support decision-making, even if outcomes cannot be monetized. Because the challenges to translating ecological changes to outcomes appropriate for economic analyses are many, we discuss examples that demonstrate practical methods and approaches to overcoming data limitations. The numerous difficult decisions that government agencies must make to fairly use and allocate natural resources provides ample opportunity for interdisciplinary teams of natural and social scientists to improve methods for quantifying changes in ecosystem services and their effects on human well-being. This framework is offered with the intent of promoting the success of such teams as they support managers in evaluating the equivalency of ecosystem service offsets and trades, establishing restoration and preservation priorities, and more generally, in developing environmental policy that effectively balances multiple perspectives. Funding to support this work was provided by the USEPA Ecosystem Services Research Program, but this work does not necessarily represent views of the USEPA. We thank the many colleagues who contributed ideas and thoughtful comments, in particular, Jim Boyd, Randy Bruins, Jan Keough, Betsy Smith, Brenda Rashleigh, Amanda Nahlik, Mark Rowe, and many others. In addition, we thank two anonymous reviewers and R. Kerry Turner for helping us to improve the manuscript.